This is the squadron patch for the VA-65 'Tigers'. They were decommissioned in the early '90s. They have SO much history, it would be difficult to put in this small section.....very storied Attack Squadron! This patch does NOT come with velcro already attached. 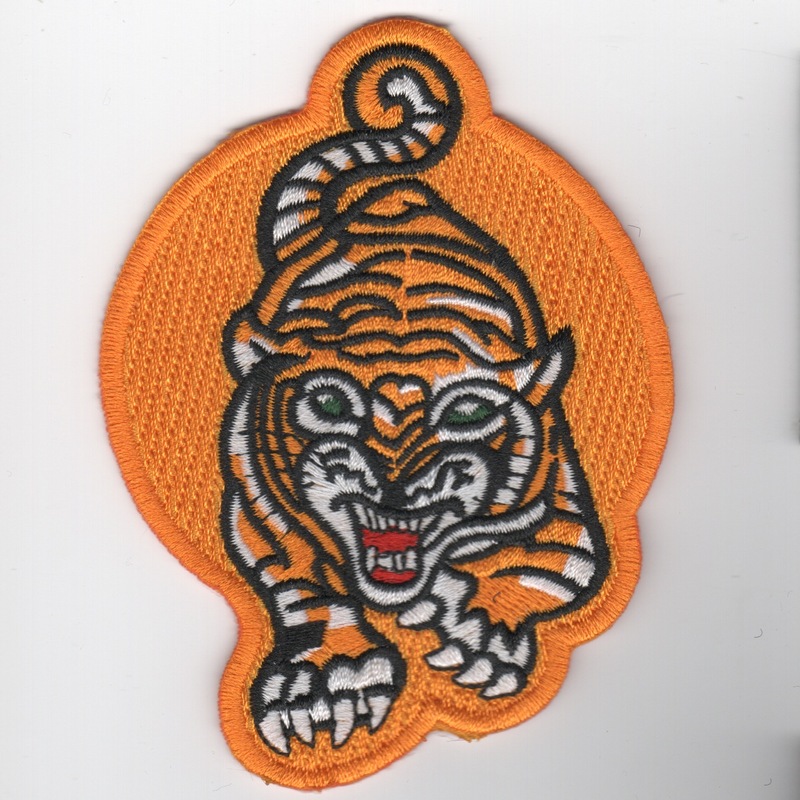 This is the 4-inch version of the mascot patch for the VA-65 'Tigers' that is orange with an orange border. They were decommissioned in the early '90s. They have SO much history, it would be difficult to put in this small section.....very storied Attack Squadron! This patch does NOT come with velcro already attached. 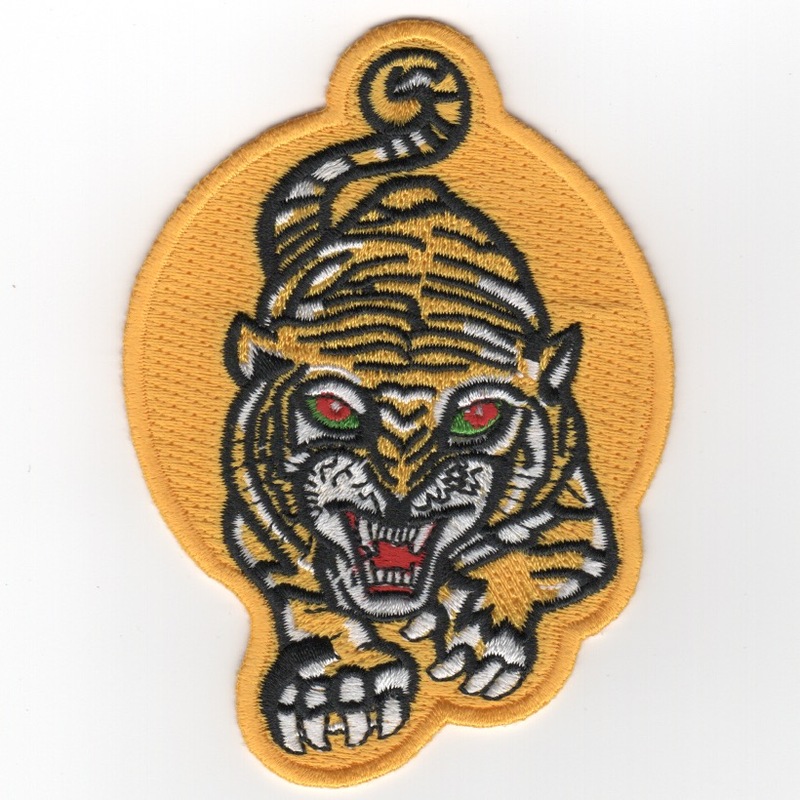 This is the 4-inch version of the mascot patch for the VA-65 'Tigers' that is yellow with a yellow border. They were decommissioned in the early '90s. They have SO much history, it would be difficult to put in this small section.....very storied Attack Squadron! This patch does NOT come with velcro already attached. 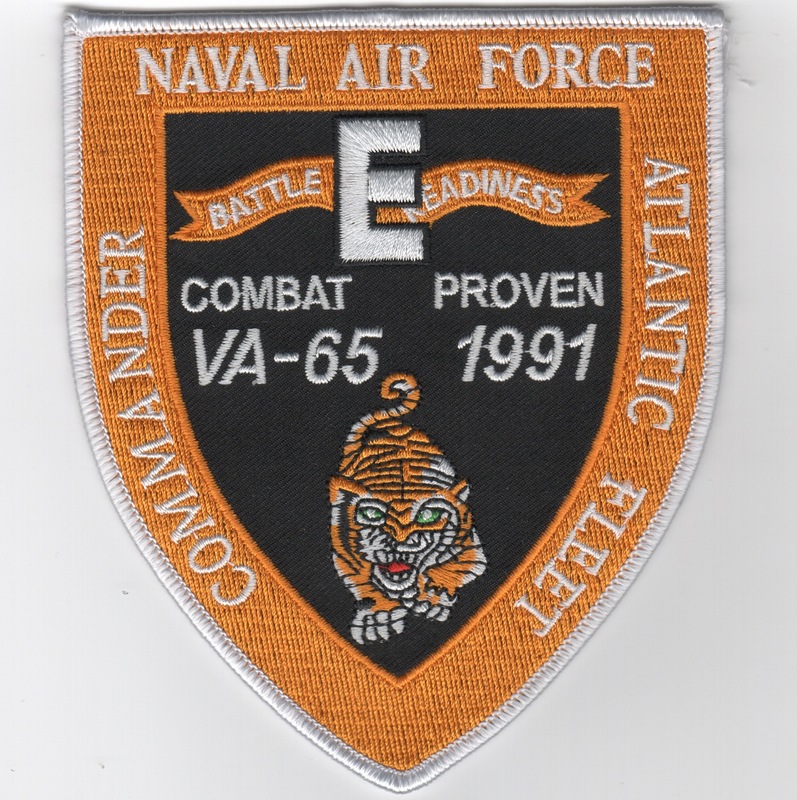 This is the 5-inch version of the mascot patch for the VA-65 'Tigers' that is orange with an orange border. They were decommissioned in the early '90s. They have SO much history, it would be difficult to put in this small section.....very storied Attack Squadron! This version of the squadron patch is fully embroidered and does NOT come with velcro already attached. 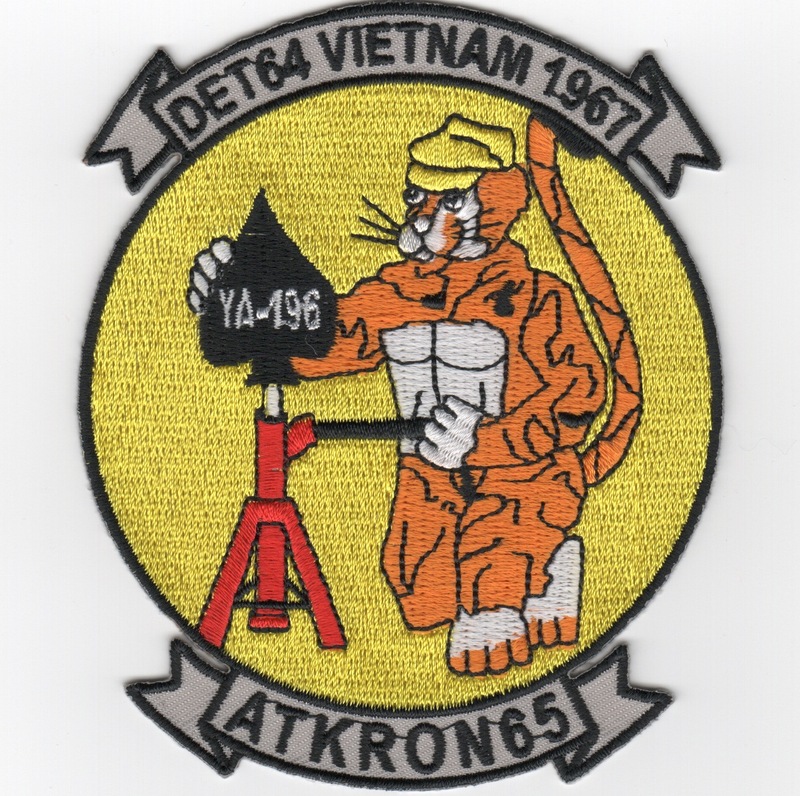 This is the 5-inch version of the mascot patch for the VA-65 'Tigers' that is yellow with a yellow border. They were decommissioned in the early '90s. They have SO much history, it would be difficult to put in this small section.....very storied Attack Squadron! This version of the squadron patch is fully embroidered and does NOT come with velcro already attached. This is the 5-inch version of the mascot patch for the VA-65 'Tigers'. They were decommissioned in the early '90s. They have SO much history, it would be difficult to put in this small section.....very storied Attack Squadron! Was asked to remake this version identical to the Vietnam-era version of their patch which was partially embroidered (twill background), yellow twill background, and orange border. This is a reproduction patch from that era and does NOT come with velcro already attached. 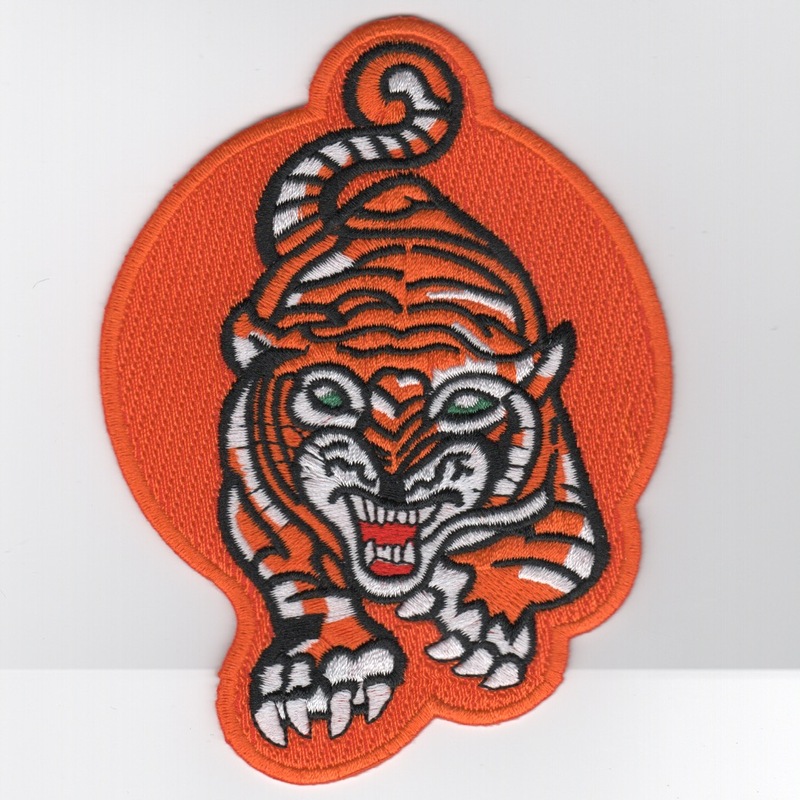 This is the very bright, NEON-Orange, 5-inch version of the mascot patch for the VA-65 'Tigers'. They were decommissioned in the early '90s and have SO much history, it would be difficult to put in this small section.....very storied Attack Squadron! This is also the patch being used by the main character in the TV show "It's Always Sunny in Philadelphia", I'm told....This patch does NOT come with velcro already attached. 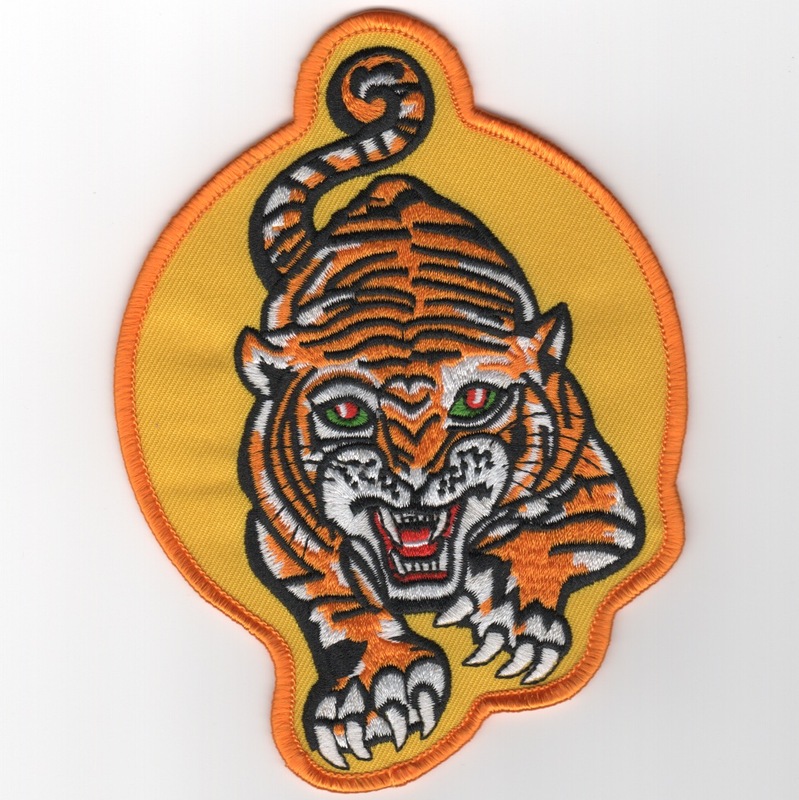 This is a reproduction from the original patch of the 1991 "Combat Proven" Battle 'E' shield patch created for the Tigers when they were awarded this distinction! This patch does NOT come with velcro already attached. 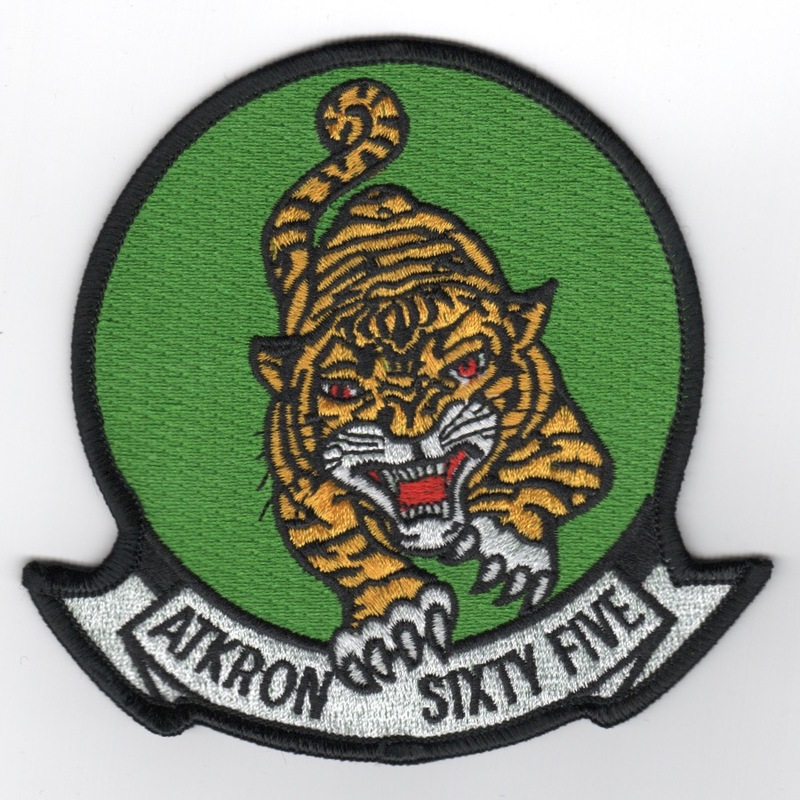 This is the deployement patch created for Attack Squadron (ATKRON)-65 for their 1967 Det-64 Vietnam tour....This is a reproduction patch. 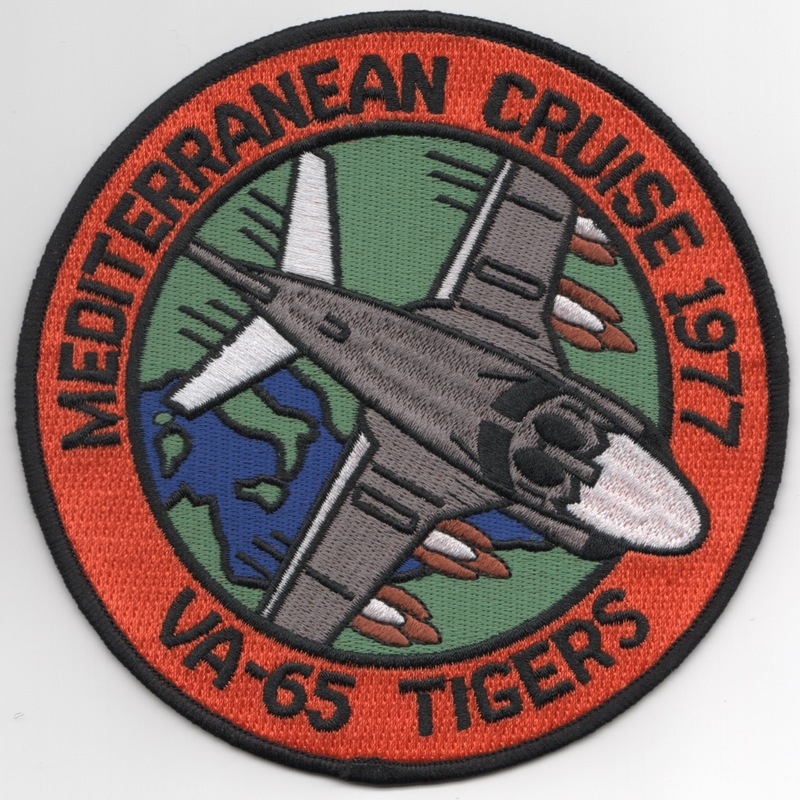 This is an exact replica of the deployement patch created for Attack Squadron (ATKRON)-65 for their 1977 Mediterranean tour onboard the USS Independence (CV-62) and attached with Carrier Air Wing SEVEN (CVW-7)....This patch does not have velcro attached. Homepage | Order VA-65 Patches!